Walmart is making grocery shopping better for all of us with a faster and easier shopping option. 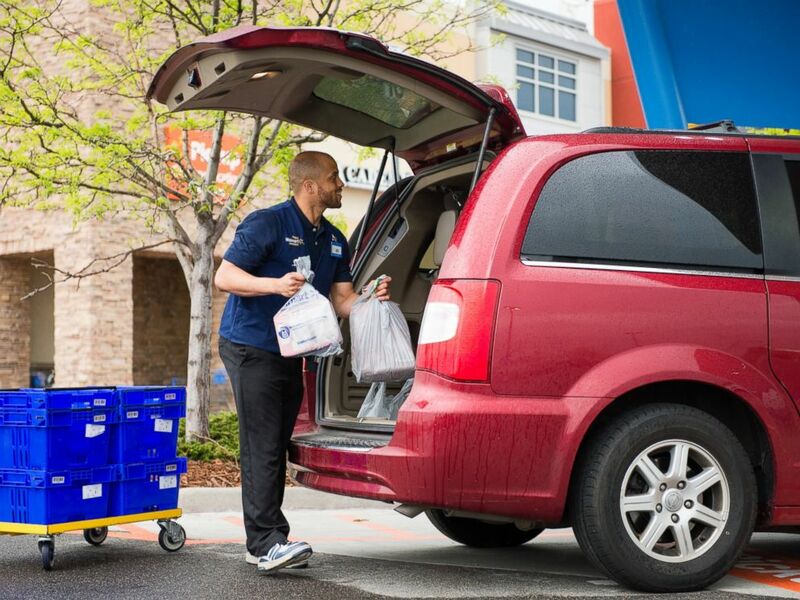 Walmart is slowly rolling out the service across the nation but many areas are already benefiting from the service. I recently went to try out the service for the first time. Although it’s been in my area for about 8 months, it just hasn’t been something I’ve been willing to try but it ended up being a pretty good experience. 1. There is no subscription fee, or any other fees, for the online grocery shopping service. There is, however, a minimum order purchase of $30 required. It’s great to have no subscription fee but there’s times when you just need one or two items in which case you’ll still have to pull all the kids out of the car to go into the store only to get those few items … unless they’re really expensive items. 2. You may be able to get same-day pickup if the order is placed before 10 a.m. local time. Orders placed by 2 a.m. are ready for pickup at 8 a.m. of the same day. This is great if you’re a morning person and you’re on the ball. If you’re like me and 3 p.m. realize you have nothing for dinner, then you won’t be able to use the service. However, if you’re up real late in the evening, place your order and it will be ready for you first thing in the morning! 3. Shopping online is simple! Everything is categorized and they make it really simple to add everything to your cart. You pay for it before you place your order but you will not be charged until after you pick it up. 4. Employees check dates and make sure your produce is fresh before packing it for you. One of my biggest hesitations of buying groceries online is letting someone else pick out groceries for me. I’m a little obsessive about which products I buy (based on outward appearance) and I want to make sure my produce is the freshest. Well, the Walmart employees have been trained to make sure you’re getting the best. And if you look at your order and you’re not happy, they will replace it or refund you your money so don’t forget to check it before you leave. 5. If they don’t have an item, they will substitute the item with a similar item of equal or more expensive product. I ordered their cheapest chocolate milk and when I arrived, they had replaced it with the more expensive chocolate milk that is at least $1.50 more than the one I had purchased. The substituted it at no charge to me so I ended up getting the better chocolate milk for a cheap price! 6. Walmart will refund your money if you’re not satisfied. I didn’t enjoy one of my substitutions and right there on the spot, the employee will take your product and set it as a refund to your account. Within a few days, you’ll have your money back. 7. Sitting in your car while the employee gives you your groceries is a million times better than going into the store. If you are on a budget, if your kids like to go crazy in the store, or if you just hate shopping, this is for you! You get exactly what you want (except substitutions which is hard to plan for), you get to sit in your temperature-controlled car the entire time, and you can keep the kids happy in the car instead of dragging them through the store.